Renowned for her delightful children’s stories, Beatrix Potter brought a collection of charming characters to life through the pages of her books. The famous Peter Rabbit and Jemima Puddle-Duck as well as all the other darling animal characters have enchanted children over the years…and now they’re jumping out of the tales and into your home. 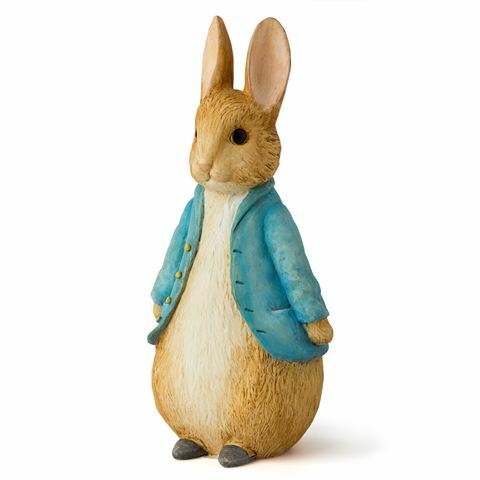 Beatrix Potter’s beautiful range of character figurines are sure to delight young and old. Based on the lively images from Potter’s stories, each figurine has been lovingly created with the most delicate of details – it’s almost as if they have come to life! Bring the magic of the English countryside into your home, and celebrate a collection of wonderful characters, thanks to Beatrix Potter. Small felt dots on base protect surfaces. Presented in a World of Beatrix Potter box with a flyer on the history of Beatrix Potter.